After a nearly disastrous run-in with a dragon, Sorey and his friends gain a new traveling companion–the dragon’s sister! But when Sorey makes a pact with her and still refuses to make one with Mikleo, tensions flare. With a possible epidemic to contend with and a hellion on the prowl, it’s the worst time for a fight between friends. Can Mikleo and Sorey make peace before another disaster strikes? 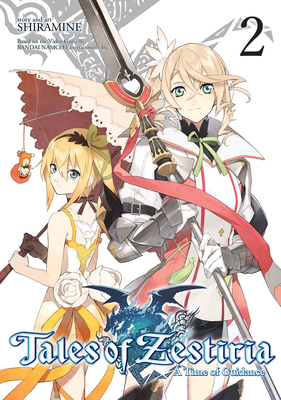 Shiramine is a manga author and artist best known for the Tales of Zestria manga.